Carter Neiman embraces her goat, Boomer, before showing him before the Junior Livestock Sale Saturday night at the La Plata County Fair. 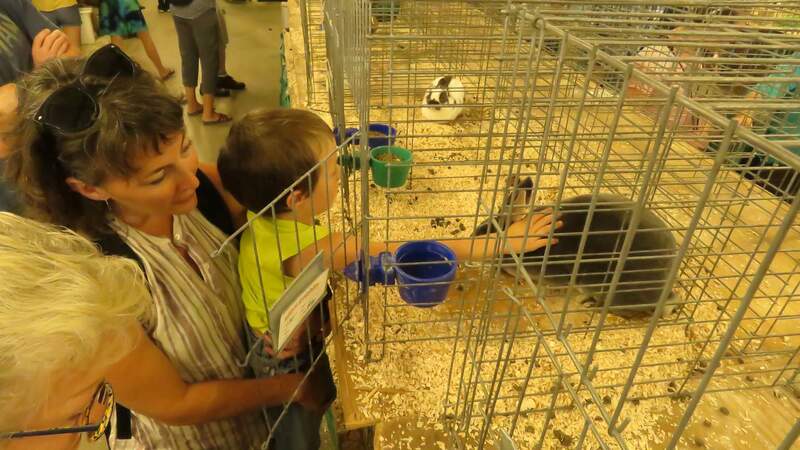 Chase Allen, 4, is held by his mother, Rikki Gensheer, as they meet “April,” who was selected Best of Show for 4-H rabbits at the La Plata County Fair. April is a Blue Otter, Rex Breed. April belongs to 9-year-old Madelaine Westfall. Madelaine’s mother is Heidi Westfall. 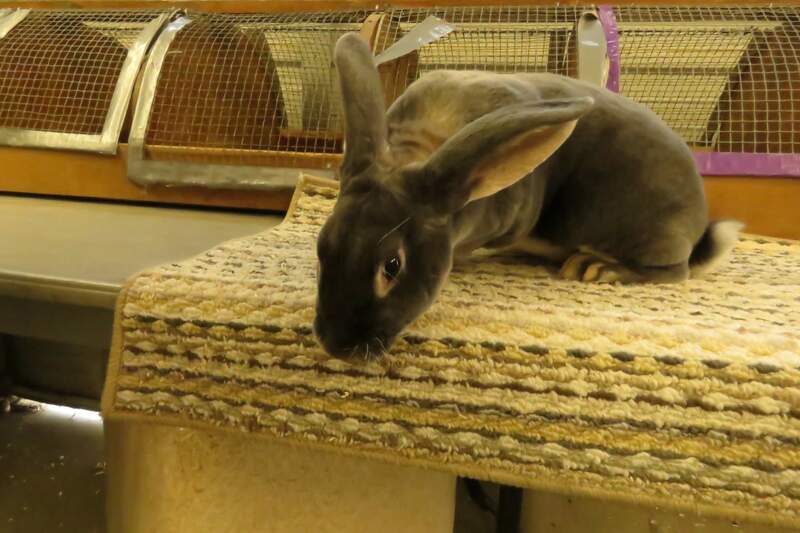 Posing for paparazzi is “April,” a Blue Otter, Rex Breed rabbit was selected Best of Show The term Blue Otter refers to April’s coloring and markings. 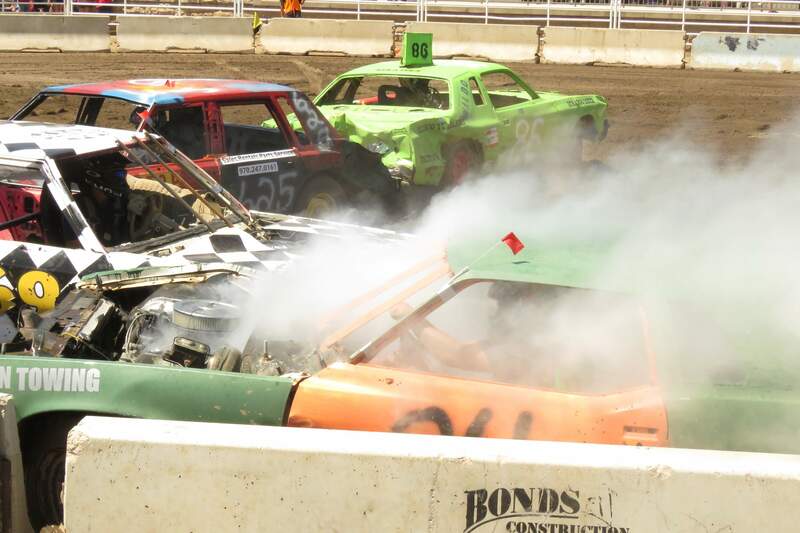 Two “gladiator” cars meet head-on, resulting in a billowing smoke plume in Saturday’s Demolition Derby at the La Plata County Fair. 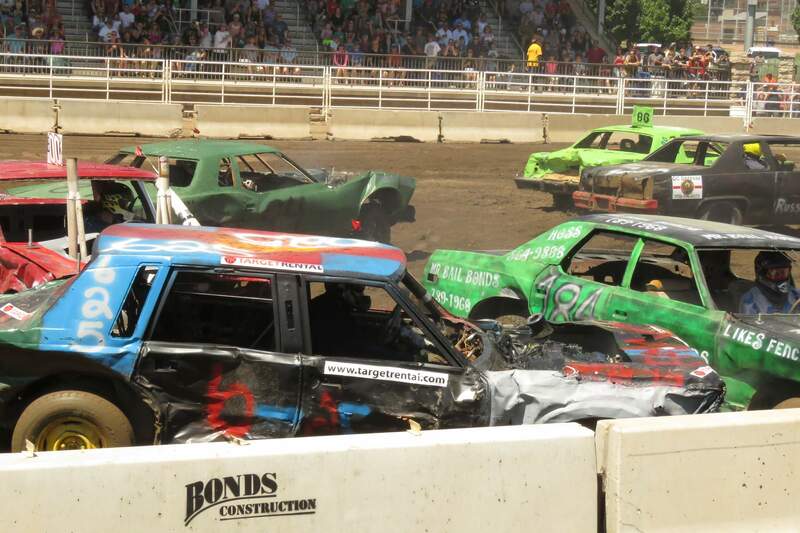 Drivers in 35 vehicles compete in several heats before a soldout crowd at the La Plata County Fair Demolition Derby on Saturday. The “gladiators” included 21 cars, eight trucks and five “minis”. 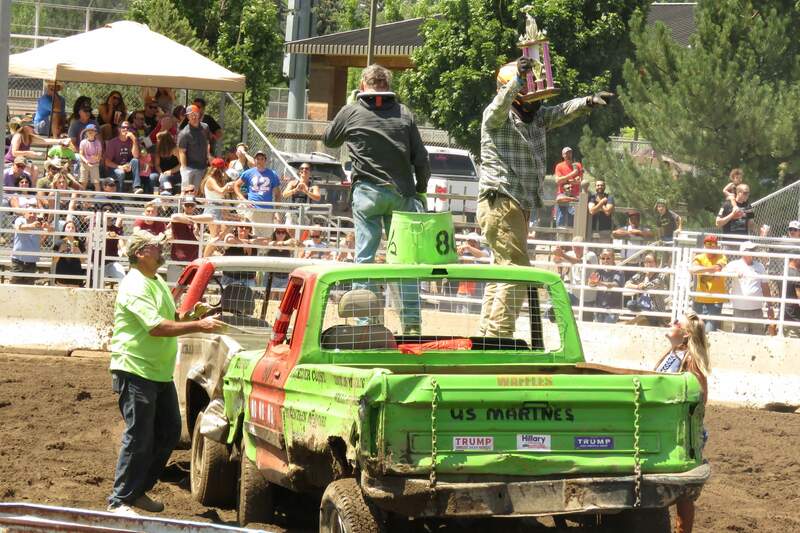 Kurt Waldo, the winner of the Demolition Derby truck category, hoists his winning trophy after being the last man standing in an eight-truck free-for-all. LeeAnn Jack holds Robin Hood while an assistant tries to add another piece to the chicken’s costume during the Rabbit and Poultry Costume Contest at the La Plata County Fair on Saturday. Robin Hood belongs to Tony Jack, on his mother’s left in purple shirt. LeeAnn’s daughter, Minnie, is on LeeAnn’s right in a purple shirt. Minnie’s chicken failed to win after it ate its clown costume. 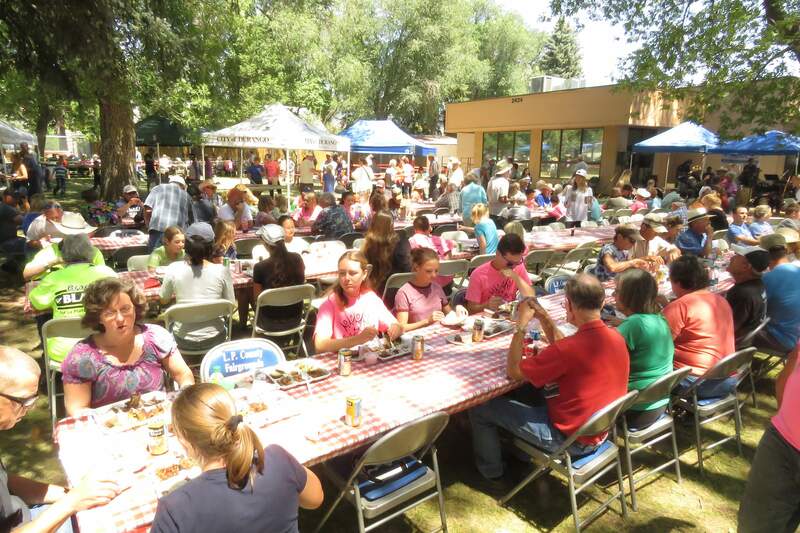 The 4-H Barbecue takes place on the lawn of the Senior Center next to the La Plata County Fair on Saturday. Peyton Zieske from Bayfield tries to wrangle a sheep during the Catch-It Contest on Sunday afternoon. 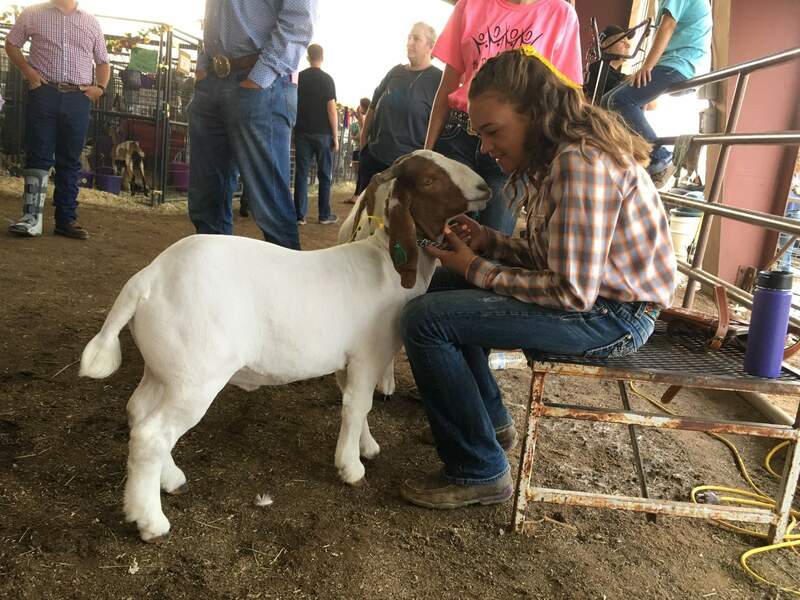 Cows, goats, pigs and sheep decorated in flowers, glitter and ribbons stole the spotlight Saturday night at the Junior Livestock Sale at the La Plata County Fair. Participants in the stock auction, the largest event at the fair, received more than $275,000 for their livestock. 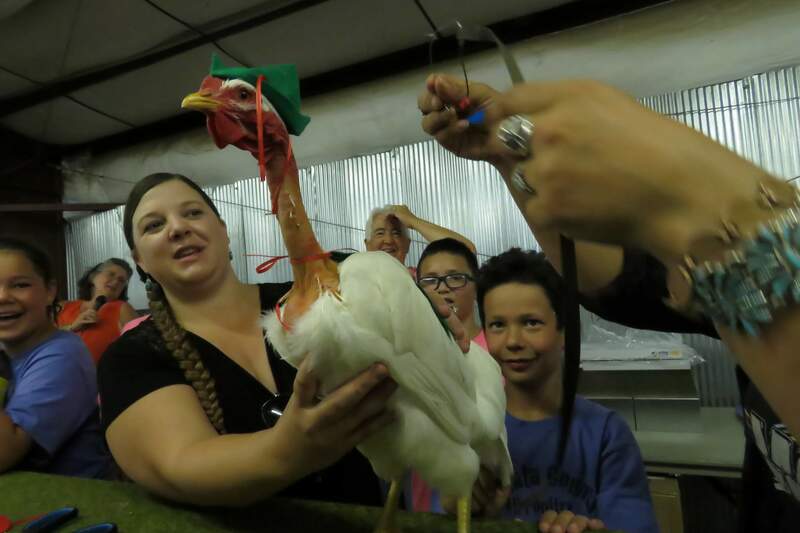 More money still might come in from “add ons,” as additional buyers tour animal pens, said Emily Meisner, a member of the La Plata County Fair board of directors. “This year went very smooth,” she said. Maryann Fassett sold the Grand Champion steer to Crossfire, a natural gas servicing company, for $7.25 a pound. Fassett’s steer weighed in at 1,273 pounds. Her brother, Brock Fassett, sold the Reserve Grand Champion steer for $6.75 a pound to the Best Western Rio Grande. His steer weighed 1,367 pounds. Maryann and Brock are the children of Brad and Kali Fassett. The number of participants was similar to last year. Three more kids participated in this year’s event, however, there was one fewer animal entered this year. Throughout the summer, participants go out in the community and recruit potential buyers. Past sponsors will receive a letter from the fair board encouraging them to support the kids. During the shows on Thursday and Friday, potential buyers scout the animals they might buy. The amount of sponsors was slightly down from last year, mainly stemming from the effects of the 416 Fire. Some sponsors told the fair board it was too difficult of a year to participate in the auction, Meisner said. “We were able to get some sponsors, but not the normal amount that we usually can,” she said. First Southwest Bank bought two pigs in the stock auction. Employee Jessica Micikas was given a budget to spend on one of the pigs, and she eventually bid $6.50 per pound for a 242-pound pig. This was her first year bidding. Ryan Jack, 11, showed a steer for the first time after years of showing pigs. Prince, her steer, received a pink fourth-place ribbon and a blue ribbon on Friday, allowing him to be sold at the auction on Saturday. At the show, the 1,397-pound cow was sold for $7 a pound. Jack knew her buyer, Garrhs Heating & Air Conditioning, was interested but didn’t think Prince would sell for that much. Carter Neiman, 12, sold her 97-pound goat, Boomer, at the auction for $13.50 a pound. She was extremely nervous showing her goat while the auction was taking place. Rylie Zufelt sold her steer, Thunder, at the auction for the seventh year in a row. She was named the Champion Senior Showman and her steer was first in his class. Jordyn Lott, Zufelt’s sister, also sold a steer, named Batman, that was named first in his class and was a Silver Steaks Grand Champion. Rylie served as Jordyn’s mentor. Rylie offered various tips and tricks and the sisters worked together on brushing and walking their steer. On Sunday, the sisters said goodbye to the animals they’ve raised for a little over a year. “Steers, you spend a lot of time with them, so you definitely get more attached,” Zufelt said. The livestock events ended with the Catch-It Contest on Sunday afternoon. 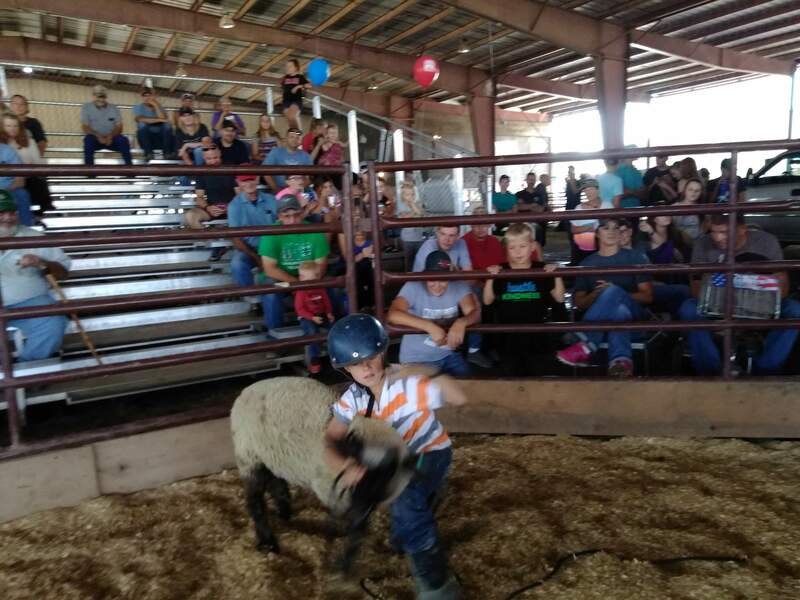 After wrangling a sheep, Peyton Zieske from Bayfield, the son of Brad and Esther Zieske, said it was tougher than he had expected. Champion: Maryann Fassett, market beef, 1,273 pounds. Reserve Champion: Brock Fassett, market heifer, 1,367 pounds. Champion: Heile Pearson, maket swine, 232 pounds. Reserve champion: Payton Montgomery, market swine, 254 pounds. Champion: Carter Neiman, market goat, 89 pounds. Champion: Ryan Leach, poultry turkey. Reserve champion: Eli Armendariz, poultry turkey.